It’s hard to admit defeat, and even harder to pick ourselves up after we’re feeling knocked down. But sometimes, big mistakes can teach us valuable lessons about ourselves and the world. More often than not, our failures are accompanied by a call to action without us realizing that such a call exists. Though difficult, the process of failing often leads us to a necessary process: that of a learning experience. If you’re feeling down about your odds of future success or tackling a fear of failure, consider the values of past mistakes before throwing in the towel. #1. Grit is a powerful tool. It takes time to build up a tough skin, but doing so is a necessary step on the path to success. People often believe that resilience is a natural skill, and while it certainly comes easier to some than to others, it’s also something that can be trained. 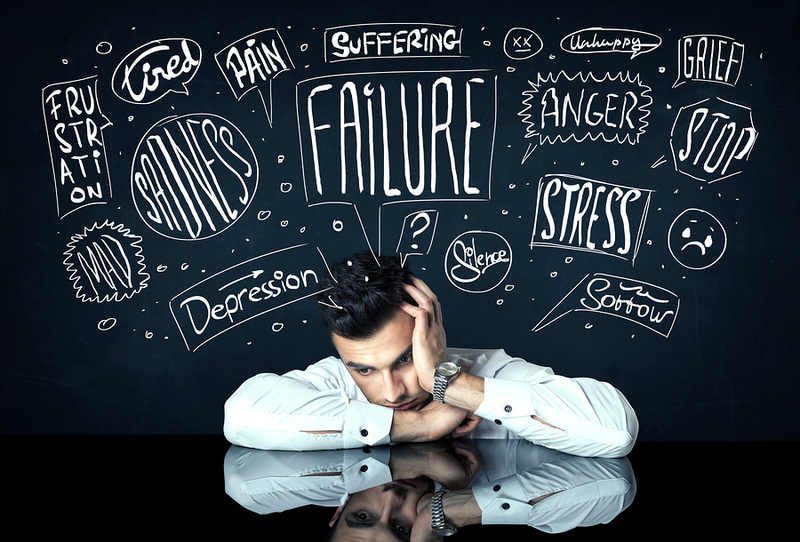 Building up one’s mindfulness and learning to accept and process failure in a healthy way has been proven to strengthen the ability to handle and recover from defeat. So next time a difficult setback comes your way, take a deep breath and remember that gaining a bit of grit can give you a valuable tool for handling challenges in the future. #2. You learn more from your mistakes than from your successes. Resilience isn’t the only tool you gain from failing. In fact, some scientists believe you learn a lot more from doing something wrong than you do from doing something right. Like it or not, failure gives us the opportunity to deepen our knowledge and understand our weaknesses. Though this process can be uncomfortable, it also helps us develop a more complex understanding of ourselves. Failure is often a signal that we made the wrong choices or headed in the wrong direction, so give yourself a moment to reflect and ask yourself if you’re truly taking the right path. #3. You can take a step back and look at the big picture. This process of asking questions is important to the process of understanding and recovering from major setbacks. Like a researcher with a failed hypothesis or a doctor with a misdiagnosis, mistakes are often key indicators to that we’re not seeing the big picture or are forgetting to account for important details when making decisions. Give yourself the chance to explore what this mistake will mean for your life, but also keep in mind why this failure may have been necessary for setting you on the right track. In the words of Albert Einstein: Anyone who never made a mistake has never tried anything new. #4. Self-forgiveness is necessary for progress. One of the hardest parts of overcoming defeat is to forgive yourself for the mistakes you’ve made and to accept the things that you can’t change. Failure is exhausting, painful, and often makes us see ourselves in a different light, but it’s important to remember that it’s also an inevitable part of being human. Giving yourself time to recover from your losses and set up a new strategy can be crucial to learning that pick-up-the-pieces attitude that has been the key ingredient to so many success stories before, and it’s important to remember that success rarely comes easy to anyone. Failure can be a necessary first step towards obtaining your goals, so remember to acknowledge it for the painful growing process that it is as you use it to propel you towards future success.